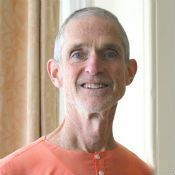 Swami Ramananda is the Executive Director of the Integral Yoga Institute in San Francisco and a greatly respected master teacher in the Integral Yoga tradition, who has been practicing Yoga for over 40 years. He is a founding board member of the Yoga Alliance and currently serves on the Certification Committee of the International Association of Yoga Therapists. For more information about Integral Yoga please visit, www.integralyoga.org.